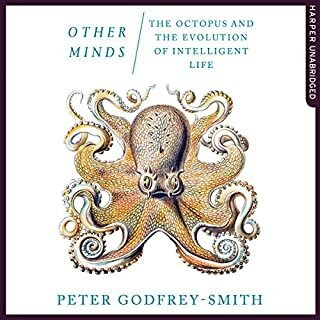 This is a quite short book which looks at what we can learn about our minds by looking in at the closest we have to a mind in an alien body, that of the mind of an octopus. The book starts brilliantly with a fantastic, clear introduction to evolution and how animals and our brains developed. I really loved the first two chapters. I also found other parts interesting including discovering the short life of an octopus only been 2 years (quite sad and poignant) and explanations of why that might be. But too much of this book seemed speculation and some parts were less satisfying. However, I did enjoy this book. Most of us are not swayed by rationalised argument or fact but we are much more influenced by our personal narratives and how we emotionally or intuitively respond to the information we receive through our senses. And most of us seem to feel that we have never lived in such trouble times and that we've never had it so bad. And this has resulted in us making decisions such as leaving Europe or voting for a president in America who seems closer to narcissistic madness because "things are bad, real bad" - but that's just my story and how I might be feeling, after all bad news is all around us and on a never ending stream of news bites. 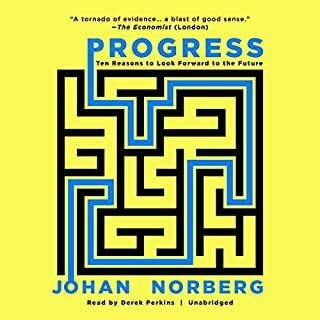 However, what this book does is present a wide range of factual arguments that draw on history and numbers/ data (and other wonderful works that include Angus Deaton and Steven Pinker) that actually show that we are living in a much better times and that we can only truly realise through perspective and seeing how fortunate we are than those in the past. Violence is a lot less of problem then it is ever been in the past. In 1900 the majority of people lived the same life span of the chimpanzee (of about 40 years) and now we average a life span almost twice as long. We no longer die by the thousands and millions of diseases such as cholera, smallpox, measles and the plague. Sanitation and medication save many more lives along with the ability to grow foods that we now no longer live in worry of starvation and famine and are now more risk of death and amputation through obesity. Did you know that there has never been a famine in any democratic nation, I never knew. Though slavery is prevailing we actually have many more people living under liberty and freedom than serfdom and enslavement. And governments of the world are there are at least trying to stop slavery and see it is been long. In my lifetime I've seen progress in gay rights equality, racial equality, gender equality and disability equality. The book covers a number of themes including poverty, sanitation, education, life expectancy, violence, equality, literacy, The environment and the future. I'm still going to worry about climate change though. A few facts from the beginning of the book include these: We’ve made more progress over the last 100 years than in the first 100,000 • 285,000 more people have gained access to safe water every day for the last 25 years • In the last 50 years world poverty has fallen more than it did in the preceding 500. Well worth a read if you think we're living in terrible times that have never been worse. And perspective is a wonderful thing. The problem is that people are more interested in bad news and stories (something that helps explain why people watch "Eastenders") than ideas that might reflect we're living in good times. I once had the privilege of seeing the author reading and talk about his previous book 'the heretics' in a Birmingham pub about people who have different and unusual belief systems that favour those more of conspiracy theory than reality. His new book looks more at the self and the self in society. I found it a wonderful book. Looking at a range of selfs (e.g. the dying self, the perfectible self, the good / bad / digital self) telling stories that tell us about ourself and the society we live in. The section on self belief and the story of John Vasconcellos and Storr's trip to a movement where we behave as something else are both diverting and bonkers and we live is strange times (just as we always have). 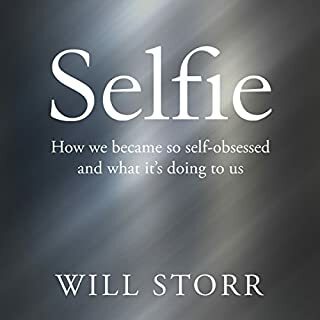 Storr has a wonderful way of writing that can cover both factual information and stories that help highlight and picture the many nuggets of information of which highlight who and what we are. Highly recommended. I loved it and learnt a lot. Two of the best books I have read this year have been written by human rights lawyers (the other being "East West Street"). I kept seeing this book at the 2017 Hay-on-Wye festival but didn't see his talk sadly as I think this book is a masterpiece blending true, riveting stories that cover topics as diverse as slavery, rescuing people from hopeless situations, assisted suicide, FGM (female genitalia mutilation), horrific revenge, the power of a parents love and others. The stories are gripping and Dias can paint a wonderful picture wether in a cold, empty bar in Russia, talking to a wonderful lady who communicates one letter at a time with her eye or the effects of people living different lives in places as far as Africa or USA or Asia. Much as this stories can grip (and they do), he uses these to tell us about who we are, what we are and why do we sometimes behave in an often myriad, different ways. 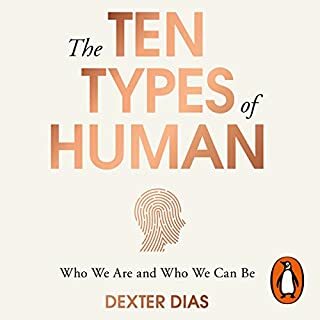 I hope as many people read this wonderful book mixing wonderful narratives with neuroscience and other scientific research, philosophy, and moral dilemmas and questions. I loved this book and it has made me want to contribute to changing the world to a better place. Let's build bridges rather than walls. It's not a quick read but the author brings everything together at the end, as if listening to the vibrations of a symphony with all the pieces coming together. Brilliant! I only wonder why is wasn't reviewed in many papers but feel lucky I stumbled upon it. A few weeks have passed since reading but I can't forget it.